Let me introduce you to the very first responsive front-end framework that is based on AngularJS & Google Material Design specifications. LumX is a sensational new responsive front end framework that is all set to help web designers & developers create stunning websites leveraging the power of AngularJs & Google material design. 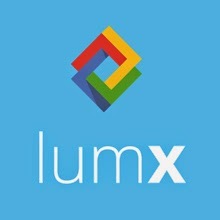 Yes, LumX is created with the latest technologies for web developers & designers. I’m damn sure that LumX is going to help you design beautiful applications, faster and easier. Lumapps team, who have created LumX front end framework, says that they’ve built it based on Google guidelines and respecting metrics in a pixel perfect way. You would also like to read our previous article on time saving frameworks & kits. Moving on to the LumX, I would love to hear from you after you read this article and used LumX about the experience you’d with LumX. Lumx is going to improve the way we do front end web development and surely will become the one of the best web design tools for web designers. LumX is not your ordinary responsive front end framework it’s much more than that, LumX also includes some animated effects you are going to love for sure. You can download LumX from Github directly or you can visit their site to know more about LumX framework. I would suggest you to read how to get started with LumX installation immediately after the download completes. Okay so what is included in LumX and how is it the beautiful yet powerful responsive front end framework?. Here’s the answer, LumX is built with AngularJS, Sass Preprocessor and a little bit of jQuery. And that makes this front-end framework more powerful & delicious than any other responsive front-end framework out there. What I think about LumX? LumX is one of the fastest (I mean blazingly fast) responsive front end framework that has the power of AngularJs, Sass, Jquery and Google’s material design. It’s just not the fastest web development tool I’ve seen but it is also the simplest responsive front end framework. Do you have something in mind about Lumx framework? then what are you waiting for just speak your mind in comments. I enjoyed your blog post on responsive design as well, thank you for sharing. for more further info on seo or web design you can also visit on http://www.dreamz-solutions.com/…………………….